Attention all Wellington County Youth! 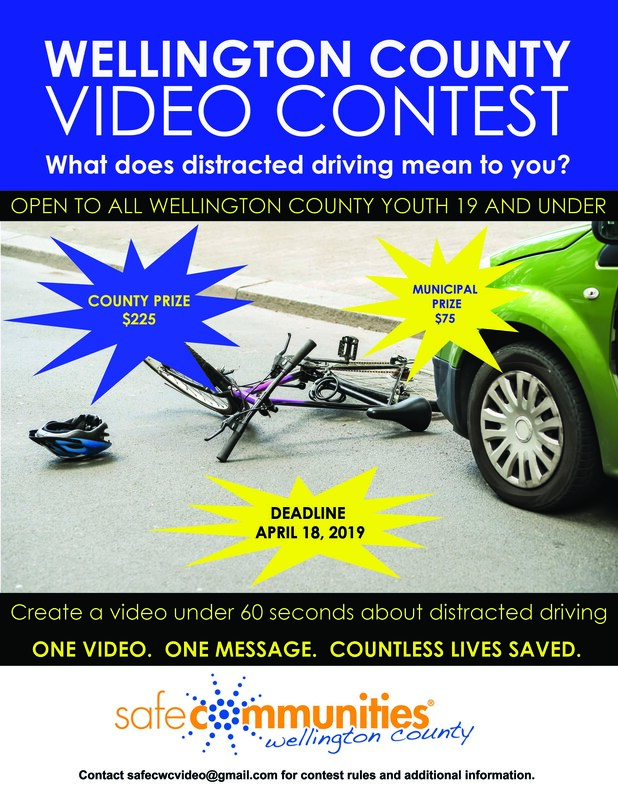 Safe Communities Wellington County is inviting you to participate in The Wellington County Distracted Driving Video Contest. If you are 19 and under and reside in Wellington County you can create and submit a video up to 60 seconds long explaining “What Distracted Driving Means to you”. Please carefully read the Contest Rules and fill out the Release and Entry Form before you submit your video. Deadline for submissions is Thursday, April 18, 2019.